Netflix has released a special sneak peek for their highly-anticipated Sense8 finale, which will debut on the streaming service sometime in 2018. Netflix made the controversial decision to cancel Sense8 back in June, but the fans were none to thrilled about that decision. Netflix defended the move to cancel both Sense8 and another popular series, The Get Down at the same time, it only took a few weeks for Netflix to un-cancel the show, so to speak, and order this highly-anticipated finale. Here's what Lana Wachowski had to say in a heartfelt letter to fans after the two-hour finale was ordered. "Dear Sense8 Family, I have been meaning to write this letter for some time. The outpouring of love and grief that came in the wake of the news that Sense8 would not be continuing was so intense that I often found myself unable to open my own email. I confess I fell into a fairly serious depression. I had never worked so hard, or put so much of myself into a project as I had with Sense8 and its cancellation hollowed me out. I felt the disappointment of my amazing crew (I wish people could understand the impossibilities they achieved with implausible regularity.) I felt the sadness of the actors who had given so much of themselves, always finding more whenever the sun broke from the clouds. But most of all I felt the heartbreak of our fans (again I wish I could cluster with you to share some of the beautiful moments, the hugs, tears and laughter, as well as the insightful and humbling conversations I have had with people who have connected to this show; they are unlike any fans I have ever encountered as an artist.) Friends kept calling from all over the world asking, 'Isn't there anything you can do?' And the truth was, no. By myself, there was nothing I could do. But just as the characters in our show discover that they are not alone, I too have learned that I am not just a me. I am also a we. The passionate letters, the petitions, the collective voice that rose up like the fist of Sun to fight for this show was beyond what anyone was expecting. In this world it is easy to believe that you cannot make a difference; that when a government or an institution or corporation makes a decision, there is something irrevocable about the decision; that love is always less important than the bottom line. But here is a gift from the fans of this show that I will carry forever in my heart: while it is often true those decisions are irreversible, it is not always true. Improbably, unforeseeably, your love has brought Sense8 back to life. (I could kiss every single one of you!). It is my great pleasure as well as Netflix's (believe me, they love the show as much as we do but the numbers have always been challenging) to announce there will be another two hour special released next year. After that. . . if this experience has taught me anything, you NEVER know. Thank you all. Now let's go find out what happens to Wolfgang." 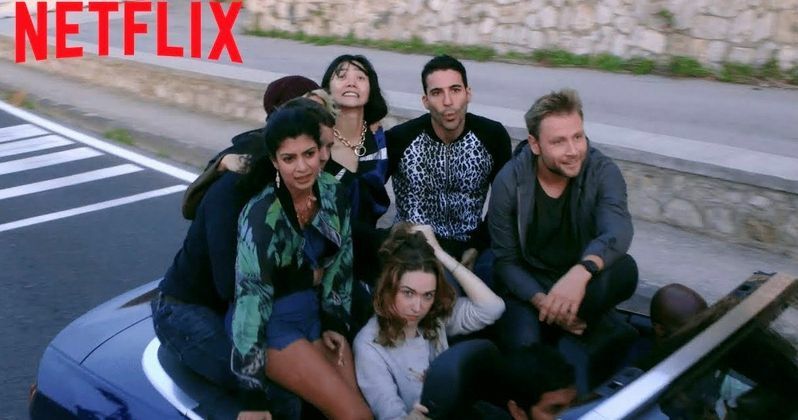 Sense8 Season 2 picked up where season one left off, Capheus (Toby Onwumere), Kala (Tina Desai), Lito (Miguel Angel Silvestre), Nomi (Jamie Clayton), Riley (Tuppence Middleton) , Sun (Donna Bae), Will (Brian J. Wright) and Wolfgang (Max Riemelt) come together both physically and mentally, plunged into the middle of each other's tragedies and triumphs. On the run from Whispers (Terrence Mann), and forced to question their very identity, it's a matter of survival as the Sensates must find a way to live with, understand and protect one another against all odds. Lana Wachowski, Grant Hill and J. Michael Straczynski serve as Executive Producers on the series. Th cast includes Brian J. Smith as Will Gorski, Daryl Hannah as Angelica "Angel" Turing, Doona Bae as Sun Bak, Freema Agyeman as Amanita, Jamie Clayton as Nomi Marks, Max Riemelt as Wolfgang Bogdanow, Miguel Ángel Silvestre as Lito Rodriguez, Naveen Andrews as Jonas Maliki, Terrence Mann as Whispers, Tina Desai as Kala Dandekar, Toby Onwumere as Capheus and Tuppence Middleton as Riley Blue. It hasn't been confirmed if there will be new characters debuting in this two-hour finale although that seems unlikely. It isn't known exactly when in 2018 this Sense8 special will debut, but it will certainly be among the most highly-anticipated TV programs of the year. Until a date is announced, all we can do is speculate, but at least we have this sneak peek to pass the time. Take a look at this Sense8 finale sneak peek below, courtesy of Netflix YouTube.